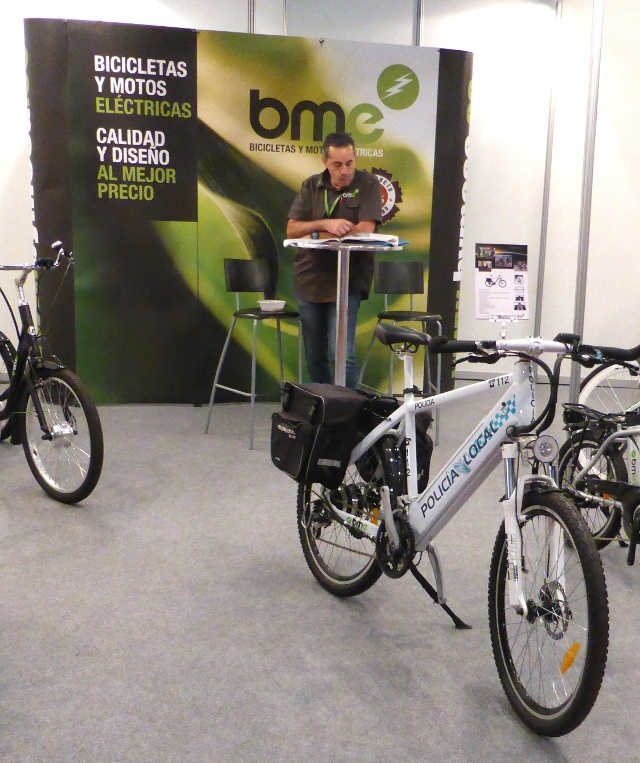 I was at the Unibike Cycle Show in Madrid today speaking on panel about the role of National Cycling Plans in cycling policy. 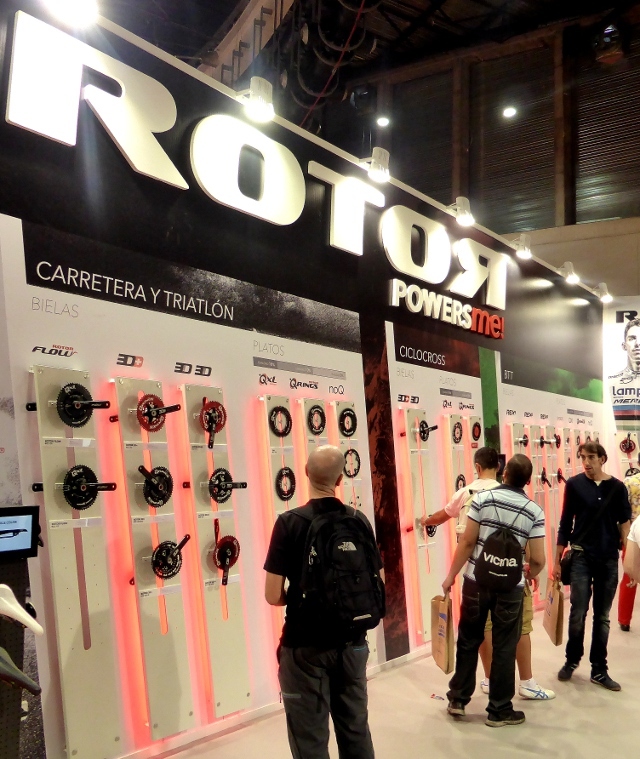 After my speech I had the chance to look around the show. It is considered a big breakthrough because in the past they had two competing shows on the same day, which does seem a bit daft. 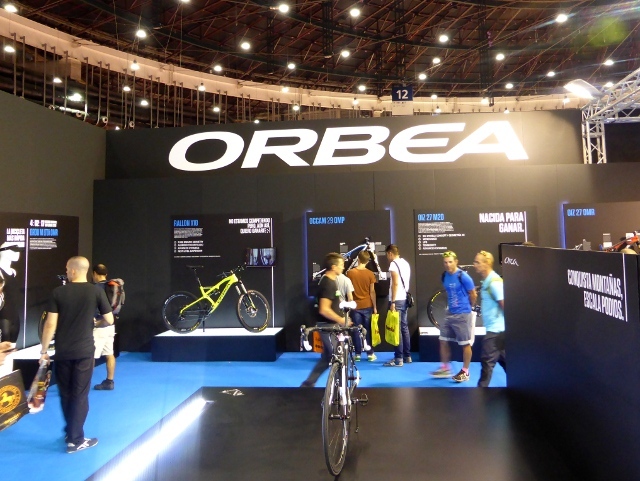 This show has been judged a success with a turnout from most of the major brands, led by the top home grown Spanish businesses like BH, Orbea and Rotor and I thought it had a really good mix of all sections of cycling including city and e-bikes. As ever I was on the look out for the quirky oddities rather than the mainstream. 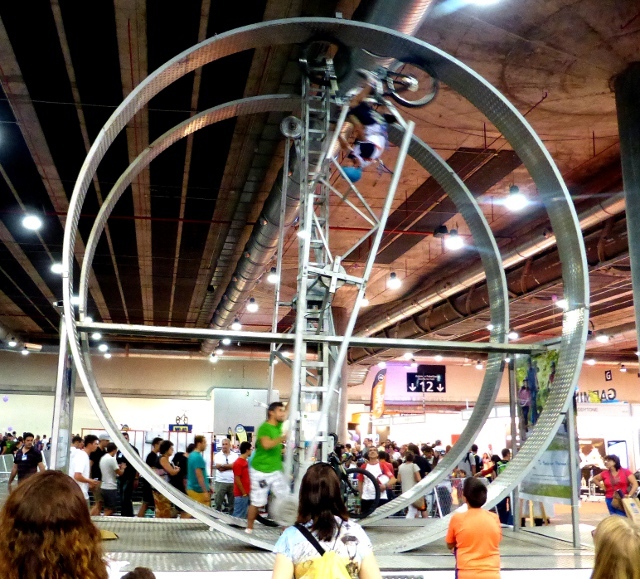 today I found it in the participation section where people get to play on the bikes. 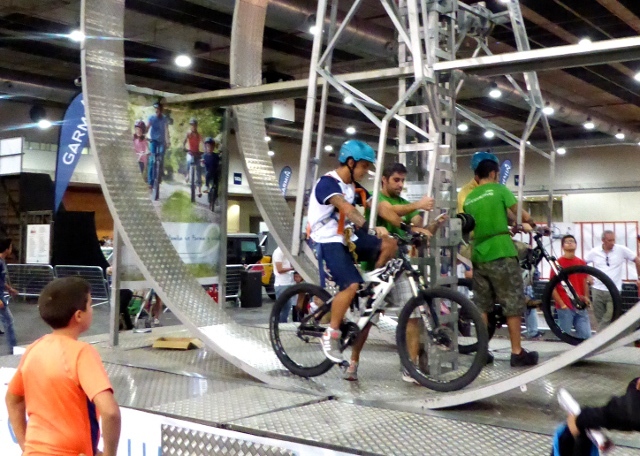 Near to the usual test track and BMX stunt area was this contraption where you could just strap yourself in and start pedalling too and fro. My stomach turns at the thought. Strictly wheels on the ground me. 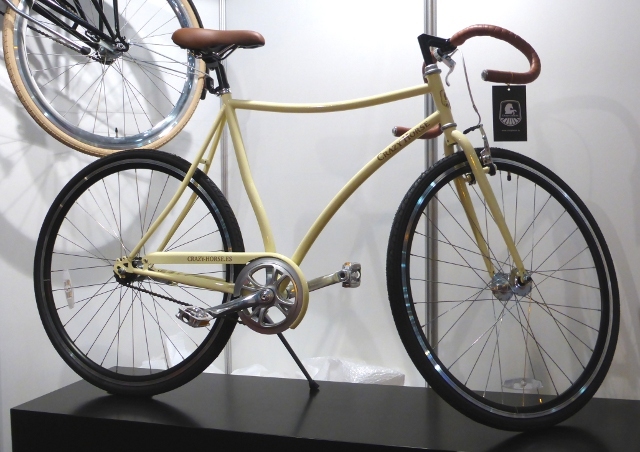 Maybe whoever designed this bike for Spanish brand Crazy Horse had done one loop too many? 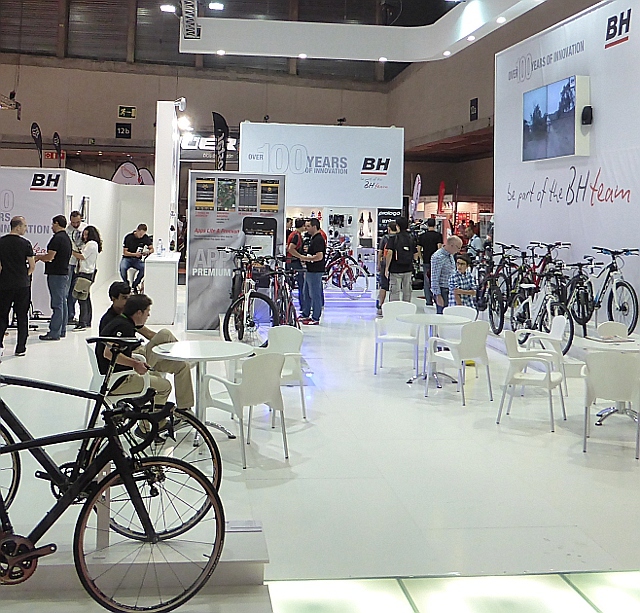 This entry was posted in Countries, Musings, Travel and tagged Cycle shows, cycling, Madrid, Spain by kevinmayne. Bookmark the permalink.